Pregnant employees and job applicants are protected by California Law and the Pregnancy Discrimination Act of 1978 both in the hiring process and while on the job. If you have been discriminated against on the basis of your pregnancy – either overtly or through covert means – in applying for a job, being terminated or demoted at your job, seeking reasonable accommodations at your work, or in seeking medical leave, you may be able to bring a successful pregnancy discrimination law claim for financial recovery and other forms of relief, including being restored to your job. The employment discrimination legal team at LawPLA champions the rights of pregnant employees and job applicants in Los Angeles and the surrounding areas. We are here to listen to your situation, help you assess your legal options, and, if we believe you have a strong case, aggressively fight for your legal interests in your pregnancy discrimination claim. A California employer may not discriminate against workers and applicants on the basis of pregnancy. This is true in the hiring process as well as on the job, meaning you cannot be demoted, suspended, terminated, or subject to other adverse employment decisions on the basis of your pregnancy. Sometimes, employers try to disguise the discrimination behind good intentions. They explain they’re worried about safety. In other cases, the discrimination is more blatant. Either way, it’s illegal. Companies cannot fire employees because they are pregnant. Exceptions are rare, even when a job entails being exposed to toxic chemicals or lifting heavy objects. Courts have ruled that decisions about the safety of the woman and fetus are up to the employee and her doctor, not her boss. If you are asked questions during an interview about if you are currently pregnant that leads to you not being hired, that is illegal. It is also illegal to not hire someone because she might become pregnant. You are under no legal obligation to disclose the fact that you are pregnant to someone who is considering hiring you. It’s illegal for your employer to use your pregnancy as an excuse to give you lower pay. An employer does not have the right to demote you just because you take maternity leave. The Pregnancy Discrimination Act and California Law entitle you to return from maternity leave to a position equal to or higher than your previous role. If you have complications or are temporarily impaired because of your pregnancy, your employer must treat you the same as other workers with medical impairments. 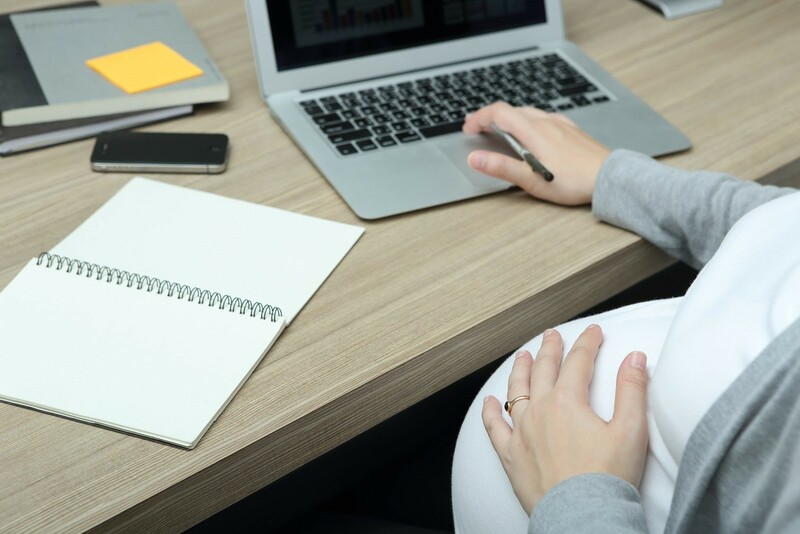 If your company has a policy in place that, for example, offers a light-duty assignment for a few months to a worker who injured his back, your company must also provide “reasonable accommodations” to you over the course of your pregnancy. Other examples of reasonable accommodations may include allowing you to sit on a stool rather than stand during your shift, changing your work schedule if you have severe morning sickness, or allowing you to keep a water bottle next to your workstation. 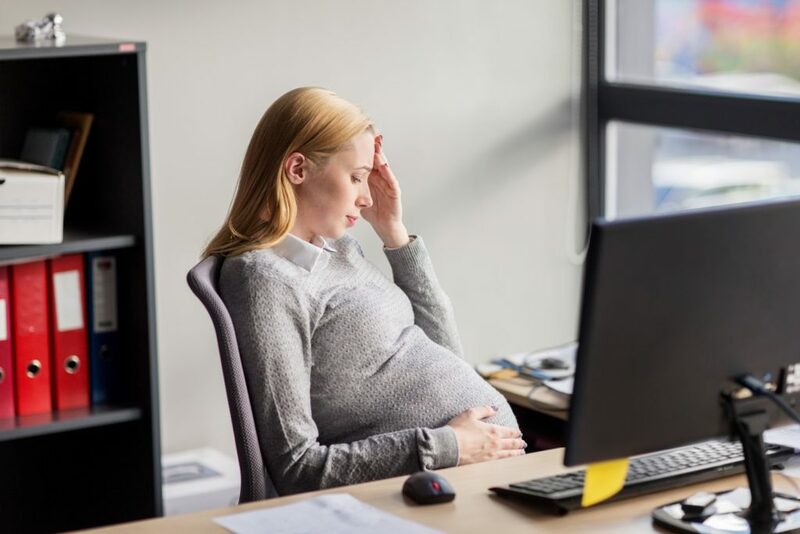 Even if an employer thinks they are acting in the best interest of the employee – or protecting itself from liabilities – it’s illegal to move or reassign a pregnant woman or new parent to a less strenuous job or to cut her hours. An employer cannot limit your work travel on the basis of your pregnancy. Your ability to travel is up to you and your doctor, not your employer. Employers cannot base employment decisions on assumptions about a pregnant women’s capabilities and or concerns about her health. The four months do not have to all be taken at once. You also have the right to insurance coverage by your employer during this period, as well as the right to seek a comparable position and/or job tasks upon your return to your work. Providing you with different tasks. Providing you with special equipment to do your job, e.g., a special chair or desk. Providing you with a different schedule to work around doctors visits or morning sickness. Failure to provide you with reasonable accommodations could lead to an employment law claim for financial recovery. You should never feel negatively singled out because you are pregnant. Pregnant workers have a right to be free from harassment based on their pregnancy status and/or gender. If you are subject to repeated harassing statements or other types of conducts based on your pregnancy status, you may be able to bring a claim based on a hostile work environment. The Pregnancy Discrimination Act protects women from being discriminated against if they either had an abortion or considered having an abortion. Employers cannot choose what an employee does with her body. If you suspect that you have been the victim of pregnancy discrimination, work with the employment law team at LawPLA who can help you assess your situation and understand what legal options are available to you. Contact LawPLA today to schedule a consultation to discuss your potential pregnancy discrimination law claim.